At the bottom of the Garden: My Erigo!!! 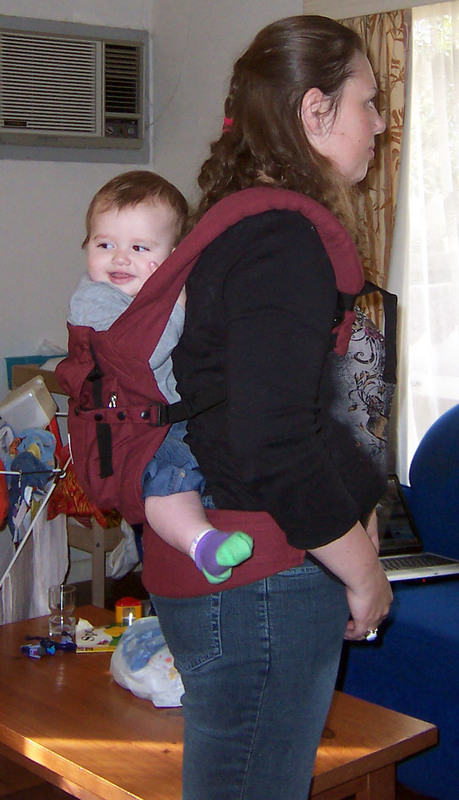 Had to post about my new ergo baby carrier! It's so cool! Im so impressed that youve lost nearly 30kg ! Its inspired me to do the same once this babe is here. Ergos are soooo cool ! Wow you look fantastic! ..and so does the ergo :) I love my ergo too. Bryn looks very content in there. Love the Ergo, it is so fab, I wish I had one when my kids were little! Don't forget to post a pic of your new haircut (a little bird told me you were getting it done today). very cool on your weight loss and ergo! The belt on mine is getting tight, time to lose some weight me thinks!